The (outgoing) CFTC chairman is a conscientious public servant who&apos;s somewhat technologically challenged. And since he missed the introductory meeting on accessing his work e-mail from home (also one on the Federal Records Act), he simply had to trudge over to his 12-year-old Dell desktop and handle Commission business via his dial-up AOL account—not because he was trying to hide anything from Darrell Issa. 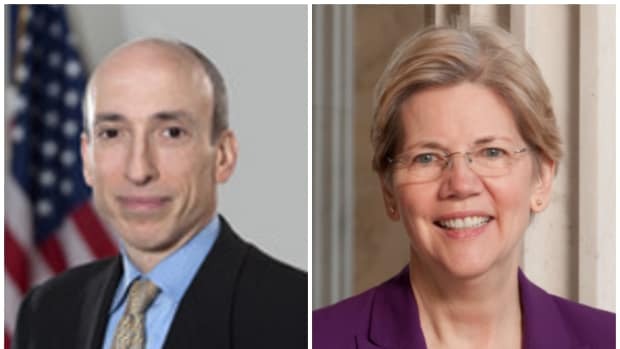 House Republicans criticized Commodity Futures Trading Commission Chairman Gary Gensler and other former government officials over their use of personal email accounts for official business at a hearing Tuesday. "It has become habitual" for high-ranking officials to use personal email accounts "out of laziness or in order to circumvent later discovery," Darrell Issa (R., Calif.), chairman of the House Committee on Oversight and Government Reform, said at the hearing. Mr. Gensler said he used a personal email account on nights and weekends because, after joining the commission, he didn&apos;t initially know how to access his official account from home…. In May, the CFTC inspector general disclosed that Mr. Gensler used personal e-mail during the collapse of MF Global Holdings Ltd. Days after MF Global declared bankruptcy and hundreds of millions of customer funds went missing, Mr. Gensler recused himself from the agency&apos;s investigation, citing his ties to MF Global chief Jon Corzine. The two had worked together years earlier at Goldman Sachs Group Inc. Republicans have criticized Mr. Gensler for backing out of the probe, and the inspector general&apos;s report faulted the chairman for the timing of his decision. The inspector said in the report that he "found nothing that appeared corrupt." Mr. Issa said he is concerned personal emails are sometimes not forwarded into the government system, as is required by federal records laws. "Did you receive any training as to the Federal Records Act?" Mr. Issa asked Mr. Gensler. "I&apos;m head of the organization and I take full responsibility, but no, I did not receive training on the Federal Records Act as I came into the agency," Mr. Gensler said. He said he has since received training and that 99% of his emails were sent to an official government address, with the remaining 1% now in the official system as well. 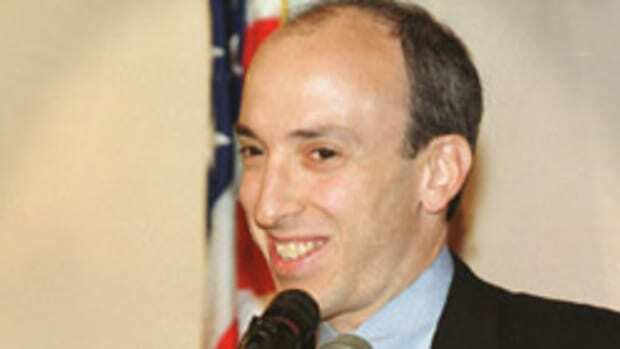 That's Professor Gary Gensler of MIT, thank you very much. President Obama has decided that CFTC chief Gary Gensler, unlike most of his first-term economic team, is worth keeping around. Gary Gensler agrees. Now if only they could figure out in what capacity.